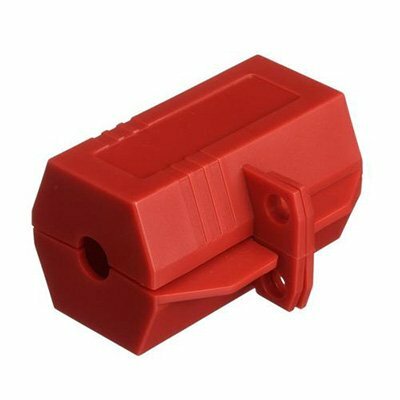 Heavy-Duty Plug Lock-Outs feature 2 cover plates that adjust to any size power cord. Small plug lock-out. 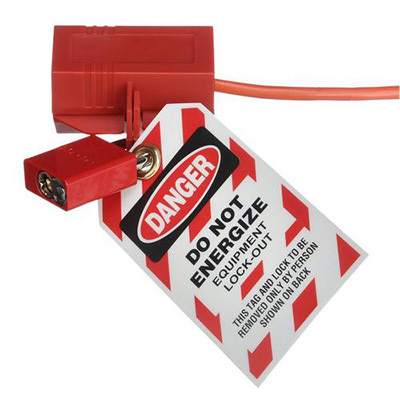 Small heavy-duty plug lockout is ideal for 110V plugs. 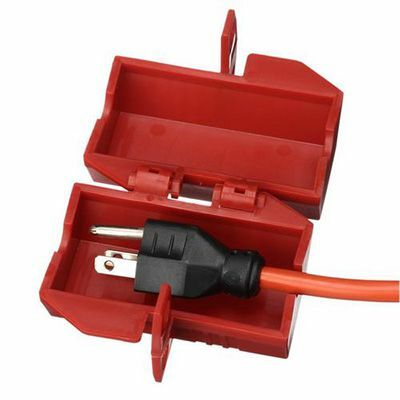 Accepts maximum plug size of 1-3/4"W x 3"L with a cord diameter of 1/2". Accepts 1 padlock, sold separately.